EASY Fall Decorating Tips and Tricks! Confession time, friends. I’m in a bad relationship. You know the kind I’m talking about. The kind like leftover Halloween candy that seduces you with sweet promises but leaves you with a toothache and a few extra pounds instead. Unhealthy, yes, but just sooooooo tempting. The kind where the people who love you beg, “Just stop already! It isn’t worth it! We liked you better before you signed up for this!” The kind that begins with hope and the thrill of a million possibilities and ends with all those ugly feeeelings – the low self-esteem, the inferiority complex, the sense that you will never be able to measure up. The relationship just isn’t working. But it’s not me, Pinterest. It’s you. In truth, Pinterest stalking gives me a few minutes of calm and peace in my frantically-paced life. It reminds me of the hobbies that I wish I had more time to pursue, and I appreciate that. A lot. 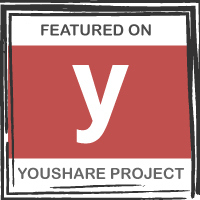 But those time-consuming projects that require lots of planning and skill? I. Can’t. Even. I am way too busy grading papers and finding a pair of matching socks for every member of the family and picking up the hundred mangled pieces of the paper towel my dog just shredded to invest the time into crafting and decorating that I would like. And I just got a sort-of-friendly reminder from the elementary school that I forgot (oops!) to pay our sons’ school fees (because the taxes and school supply shopping didn’t suffice), so I don’t exactly have a lot of “fun money” in my pocket at the moment, either. 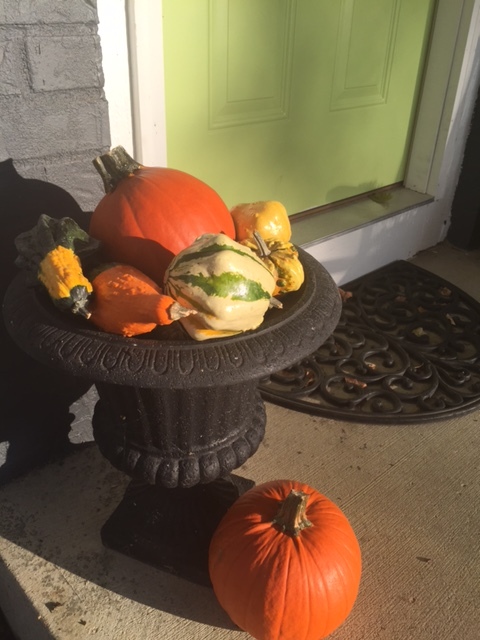 And this is a problem – both the lack of time and the lack of money – because I love fall, and I LOVE seasonal decorating. I so enjoy bringing each season into our house and being reminded of the beauty and uniqueness of each new phase of the year. (Please don’t ask my husband how many crates he has to drag out of the crawl space before Christmas. Seriously . . . Please don’t bring it up.) But whatever I do, it’s gotta be easy. And quick. And inexpensive. And it has to blend in with the general messiness that is real life at my house. Nothing too fancy here, I promise. 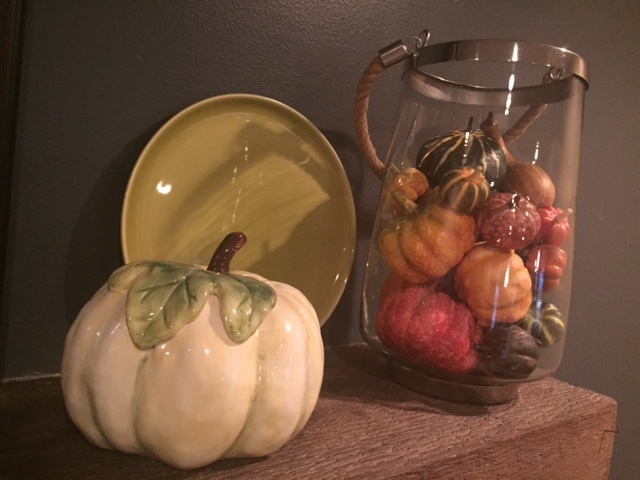 Maybe I can save you from getting a Pinterest inferiority complex by sharing a few of my favorite, simple fall decorating ideas so that you can add some fall flair to your space, as well – unless, of course, you already finished your Christmas shopping and are ready to put up your tree. Don’t even . . .
Save money by repurposing things. That simple yellow-green Russell Wright plate is something special that I inherited from my grandmother, yet it was hidden away in a cupboard. It didn’t cost a penny to add this colorful touch to a few decorations that I already had. Look through your cabinets and your basement. Think about how you could use items in different ways. Could the wreath that you didn’t hang this year be used on the table instead? Could your magazines with fall covers decorate a coffee table or fill a basket? How could you move some things that you already have, like the “W” I have here on my mantle, into different rooms to make new decorative displays? 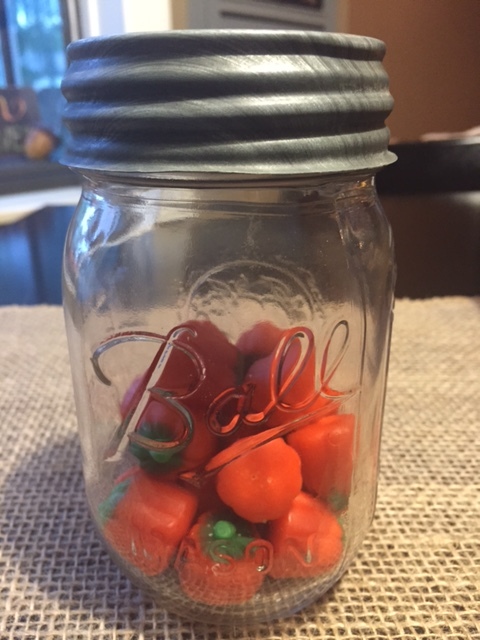 Look for more repurposing ideas below! And, by the way, shades of green work in all seasons. I like to think of green as a neutral color! 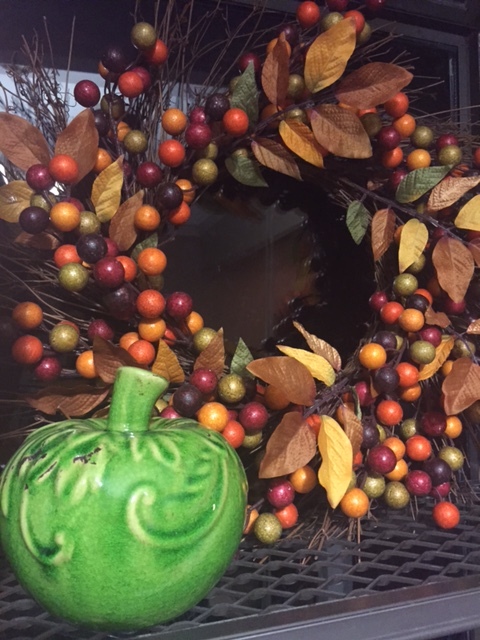 Fall is a great time to bring nature in. You can buy pine cones and sticks and leaves and acorns, or you can send your kids or grandkids hunting for them, for free! Invest in containers that you like and then fill them with new stuff each season. I didn’t realize that this is my super-simple, go-to decorating technique until I started taking some pictures, but it is. I do this all over the place. You can fill your summer planter with real gourds. 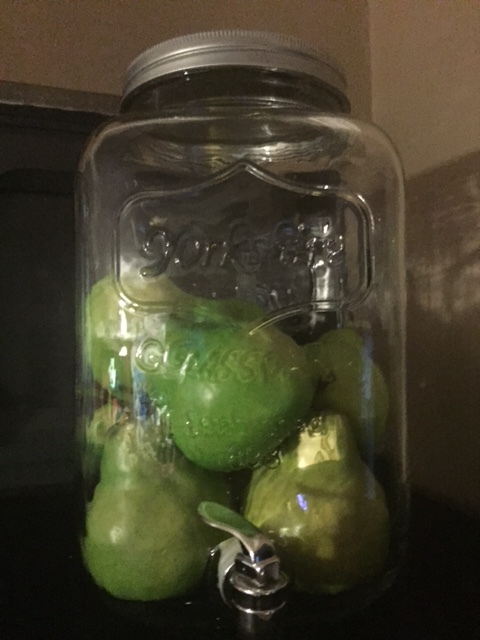 Instead of hiding it away, fill your drink dispenser with seasonal fruit. It’s also more handy when you need to use it! 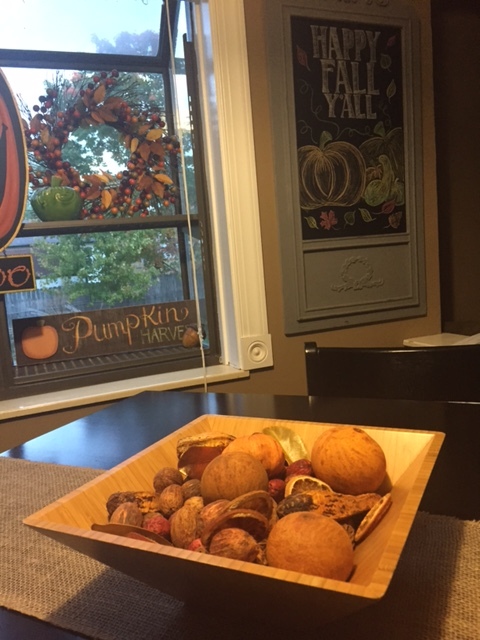 Fill a wooden bowl with potpourri. 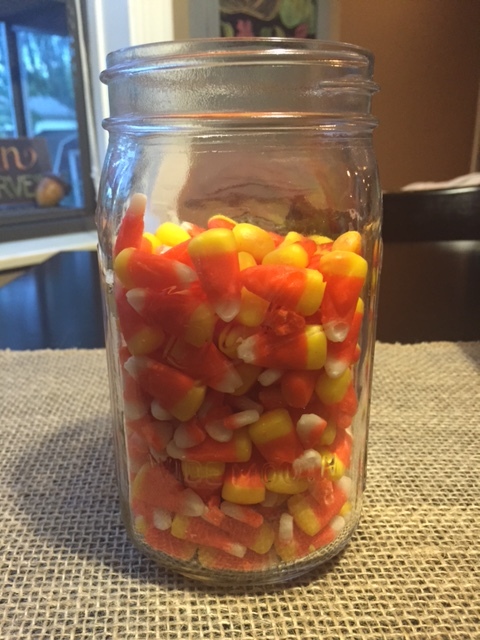 Seriously, just fill containers that you can use all year with different stuff. I told you this is my go-to technique! If you do make a run to the craft store to get your potpourri, you can also buy a role of burlap. It is inexpensive and comes in different widths. Snip off the length you need to make a runner for your dinner table or coffee table. Very fall. Very easy. This might be my favorite tip. 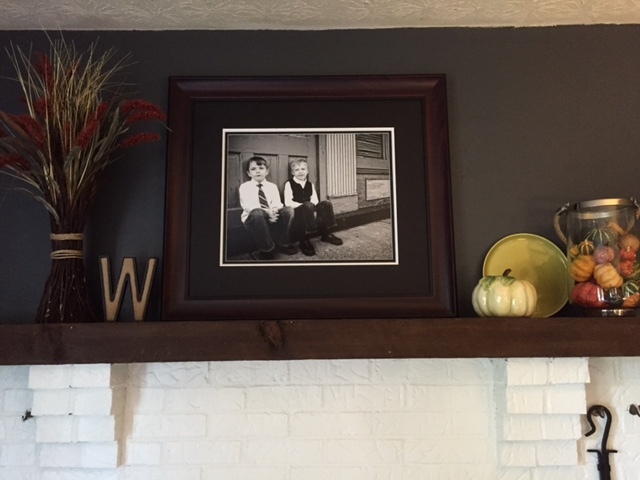 Decorating with photographs is inexpensive and packs a decorating punch. 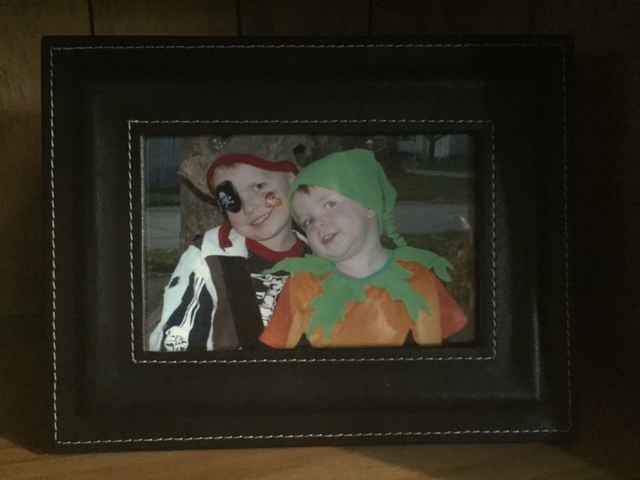 In the fall, I display photos of my children in their Halloween costumes throughout the years. These pics make me so happy. (Or sad . . . They are growing up so fast! Sniff, sniff.) They also embarrass my children, which is sometimes fun, too. But, seriously, aren’t they adorable? I recommend buying matching neutral frames and ordering prints for all of them for all seasons at once. 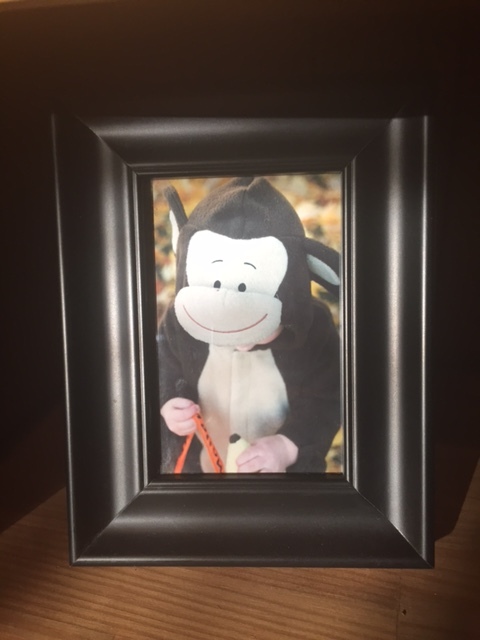 Store the pics for other seasons right in the frames so that they are easy to rotate when you change your decorations. Instead of buying lots of different kinds of decorations, start a collection. 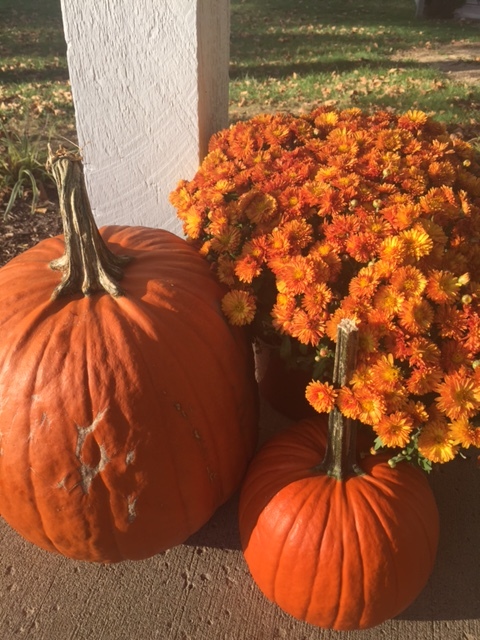 I personally like pumpkins as a fall decorating staple, so each year I buy myself one more. This year, I bought a small green glass one for $5.99 at Home Goods. Again, it’s a small investment (and this one might actually be an apple?!? ), but it’s the collection that makes the statement, and you don’t have to think too hard to make a collection work. It is also fun to add to it each year and watch it grow! 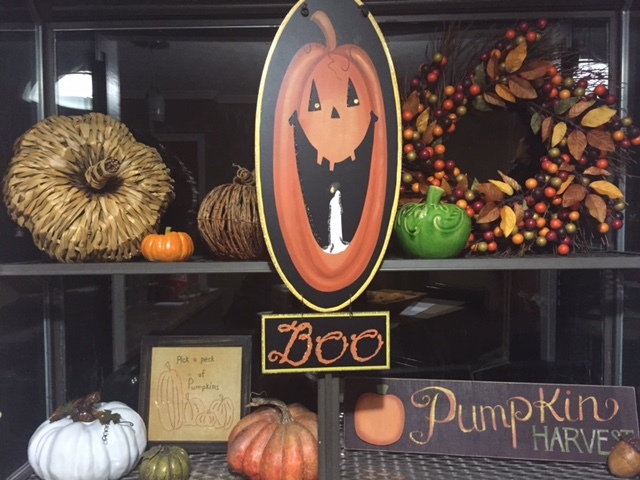 Just choose the common element (pumpkins, in my case) and then add pieces of various colors, textures, and materials over the years. Include some in groups, and sprinkle others around the house. So simple. Chalkboard art is a favorite of mine, too. Now this one requires some skill, and I enjoy having an outlet for some artistic creativity, but you can keep your designs much simpler. 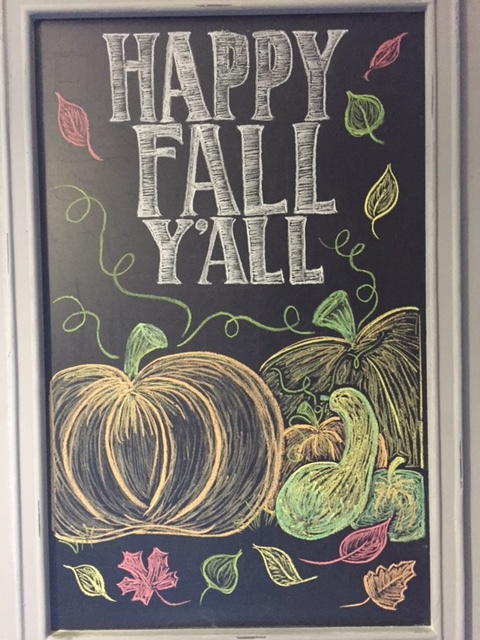 Search “fall chalkboard art” on Google Images or (*gulp*) Pinterest, and you will find lots of ideas, from simple to complex, in a snap. You can do it yourself for the cost of the chalk, which will last through many, many seasons. 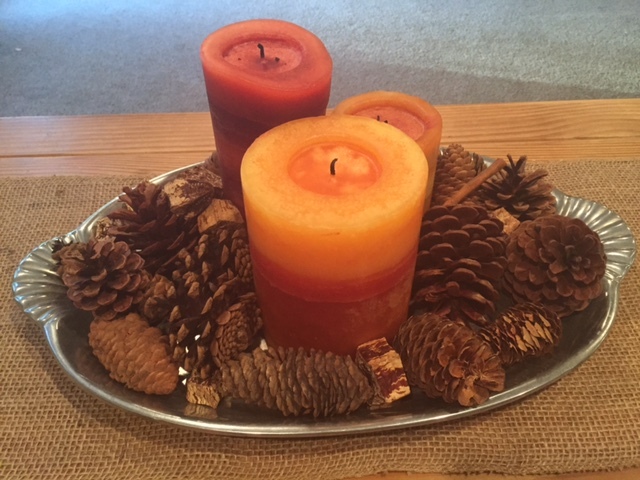 Seasons are also about smells, so consider adding a fall smell to your house! 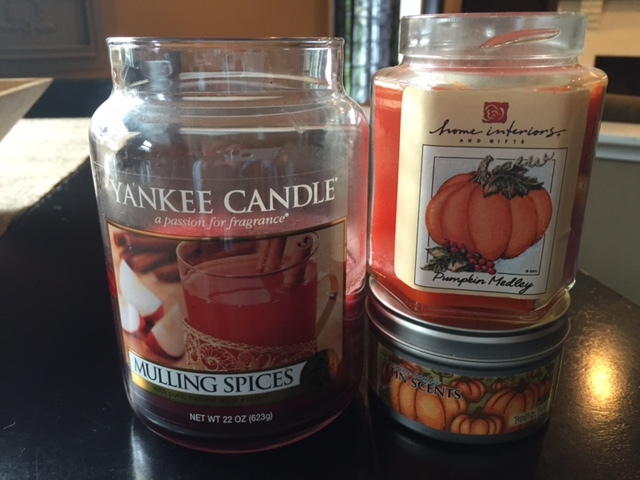 Pumpkin spice smells are my fav, and they seem to hide the other smells that live here like “sweaty boy” and “dog that needs a bath.” Dig out your candles or buy a couple of plug-in air fresheners. Aaaahhhhh! Delightful! If you are really ambitious, make some applesauce in your crockpot to make your house smell good. Then the results are tasty, too. Which probably won’t be very long. Maybe wear your earbuds and pretend that you can’t hear them, just this one time. Hopefully a few of these ideas will work for you! 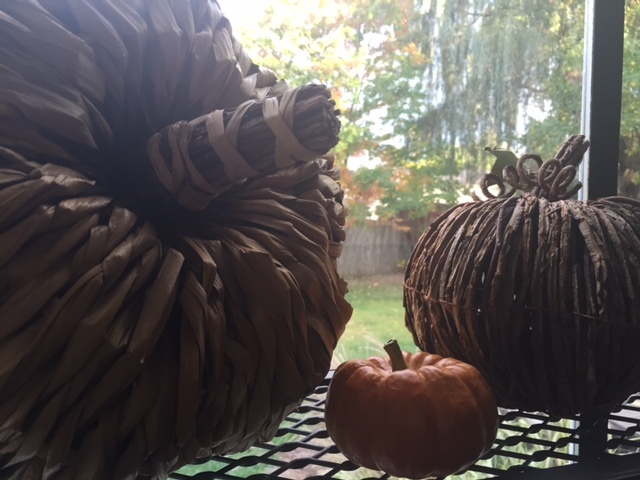 What other ideas do you have for seasonal fall decorating? 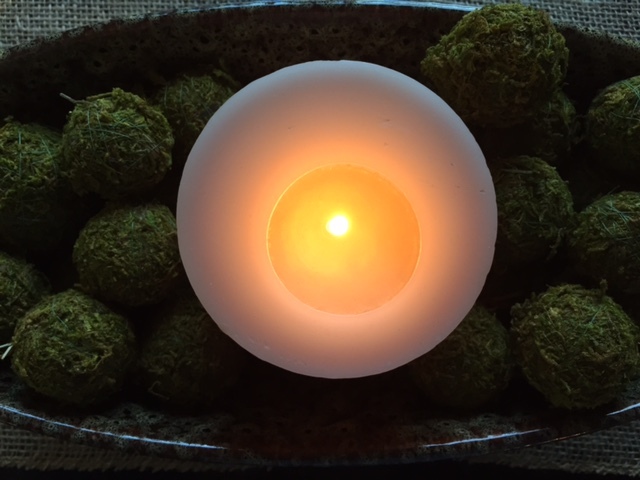 Please join the conversation! Leave a comment! And HAPPY FALL to you and those you love! Thank you for reading! This week, I will notice people. Not the people who are loud and rude. Not the ones who shout demands. Not the wheels that squeak. I will not notice them. This week, I will notice the unnoticed ones. I will not pass them briskly, blinded by my distractions. I will notice them. I will peek over the walls that separate us. I will look past the boundaries of our skin. I will gaze into their hearts this time. I will listen earnestly to hear the words that they aren’t saying. I will see the tears that are not being shed. I will feel the pain that’s hidden deep within. I will recognize the anger that is heartache in disguise. I will sense the grief concealed beneath a smile. I will perceive the hopelessness in eyes that won’t meet mine. I will spot the fear that no one else detects. I will meet the shame, and I will shake its hand. I will see the sadness and the exhaustion and the despair. I will greet the desperation, and I will be the one who does not turn away. I will not pretend that I don’t see. And I will offer hope. I will flash a smile that is sincere. I will encourage with a story or a hug. I will model bravery even when I am afraid. I will buy the coffee that brightens someone’s day. I will say hello and how are you to the ones that no one sees. I will sacrifice my own conveniences. I will surrender the closer parking space. I will hold the door. I will allow the gratitude that is in my heart to overflow. I will prove my interest by connecting with my eyes. I will ask questions because I care about the answers. I will be the evidence that there is love. I will invite the struggling mom to cut in line. I will react with patience and with love. I will reveal my own weaknesses. This week, I will notice. 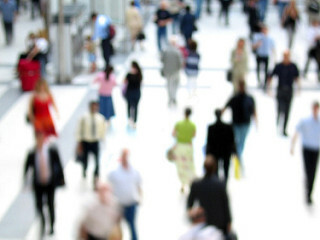 Will you notice people, too? Chase fireflies with me on Facebook!